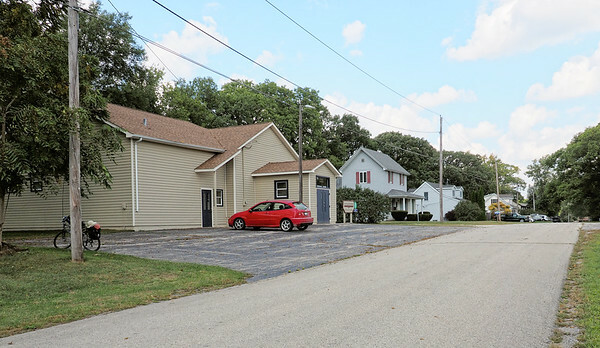 Once upon a time township governments ran the local school systems. 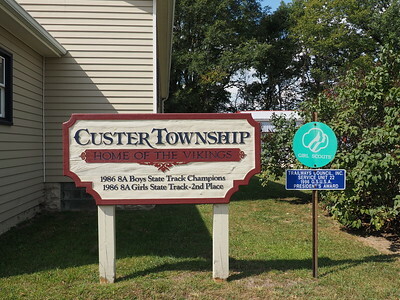 It was good to see a trace of the old connection between township and school on this sign in front of the town hall. 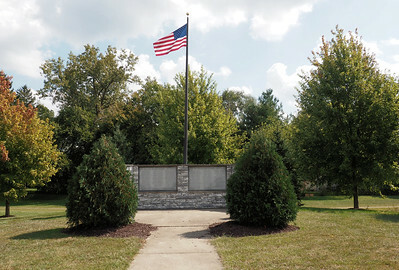 Veterans memorial across the street from the Custer Township Hall. 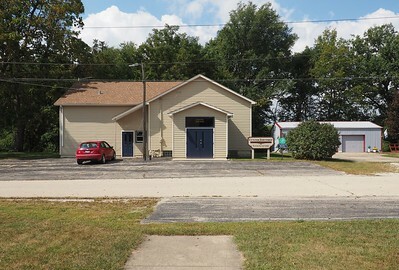 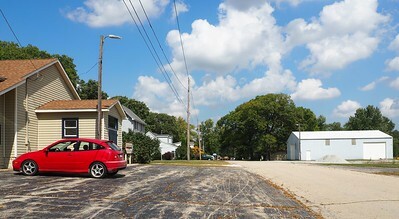 The Custer Township hall is on the left, and a shop with obligatory gravel pile in front is on the right side of the street.